I’m really excited about this simple skirt. It looks far more impressive and difficult to make than it actually is. Believe it or not, it’s a completely appropriate project for a beginner to take on. The skirt doesn’t have side seams but instead has princess seams that form side panels. Each side panel, in turn, has a simple pocket that is created by folding the fabric into a large horizontal pleat. Below each side panel is a pleated insert that flares a bit and can be worn with the pleats facing toward the front or back. 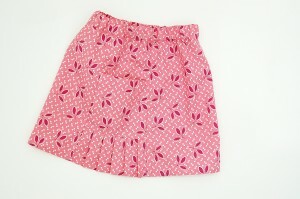 The waistband is elasticized so the skirt can be pulled on without any fancy closures. We recommend light- to medium-weight woven fabrics like quilting cotton, broadcloth, poplin, fine-wale corduroy, twill, denim, chambray, and linen for this pattern. I can’t wait to make it in chambray for S this summer. She wore it in fine-wale corduroy this past winter, so it is appropriate for year-round wear depending on your fabric choice. 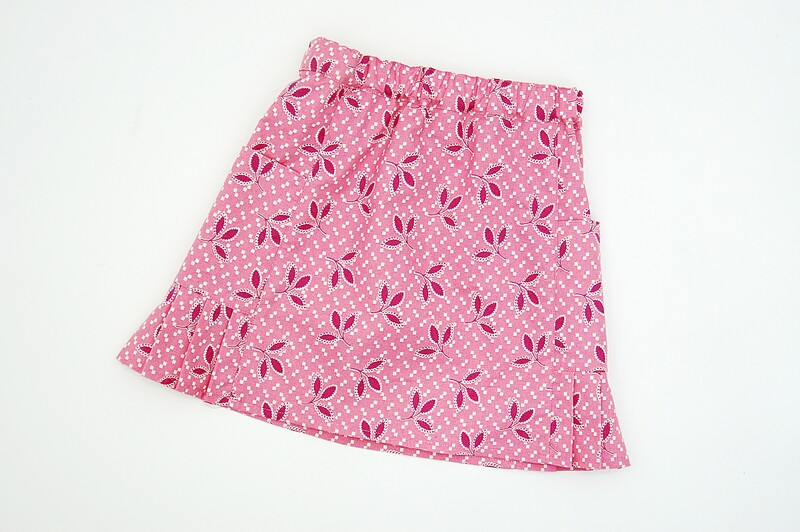 As I mentioned, the skirt portion of this pattern is appropriate for a beginner and would be rated one scissors if it were packaged by itself. 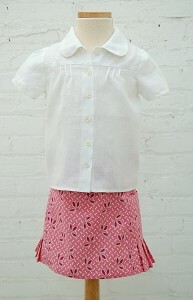 If you’re a new sewer, you can treat the Music Class Blouse + Skirt pattern like a sewing class in an envelope. Start with the skirt, move up to the short-sleeved blouse , and finish with the long-sleeved blouse. 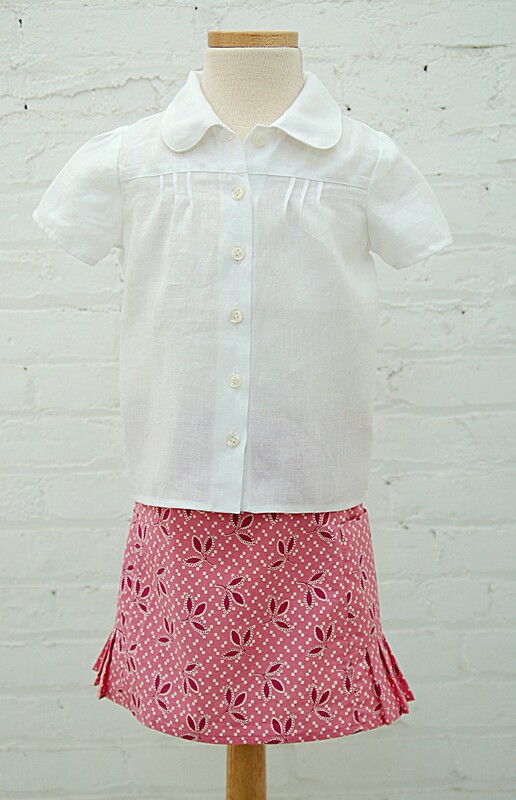 By taking on the projects in this order, you’ll develop your skills and sewing confidence as you make some wonderful separates for the little girl in your life. 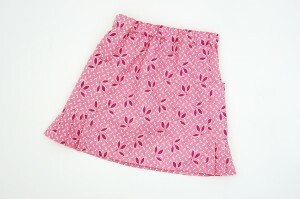 What a darling skirt! Can’t wait to make this for my girls. I’d love one for me! Any tips on how to rework it for adult sizes? Such a clever pattern, I can not wait to purchase it, with four daughters, I am sure I will have made a dozen by the end of the year. Thanks for sharing – I’m a “one scissor” gal and this skirt looks so cute!